Dalmatians and German shorthaired pointers are often considered to be "hyperactive breeds" by most people. 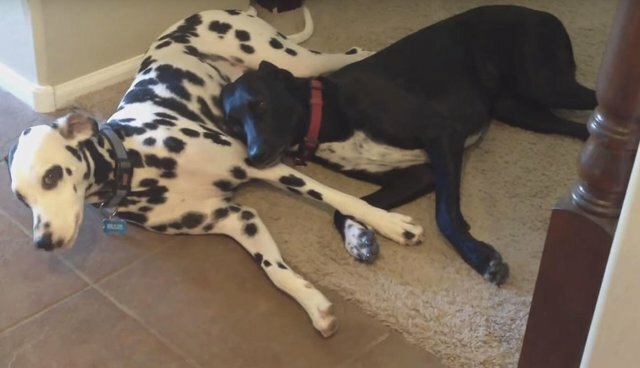 Ollie the dalmatian and Lola the GSP have been best buddies since they were both puppies and you can see how much they love each other in this super cute video. This is all the proof you need to see that even "hyperactive" dogs can enjoy a nice and calm cuddle session with each other every once in a while.